Tim founded ValueClick in 1998 and served as its Chief Executive Officer. Tim also founded ValueCommerce Co. Ltd(TYO:2491) in 1996. Tim is one of the original pioneers in the Japanese Internet and advertising industry. His vision and record of achievement are mirrored through the success and growth of ValueCommerce. He served as the Chief Executive Officer and President of ValueCommerce and focused on M&A and other strategic business development opportunities for ValueCommerce. Tim has served as the Chairman of ValueCommerce Co. Ltd since 2006 and has been a Director of The Icehouse Limited since June 2012. Tim is the founder and CEO of 90 Seconds. He is an experienced serial entrepreneur with a mix of technology, marketing, design, finance and leadership experience developed from starting and growing businesses over the last 15 years. Tim leads 90 Seconds with a vision for creating the worlds leading cloud video production platform and travels the world making it happen. 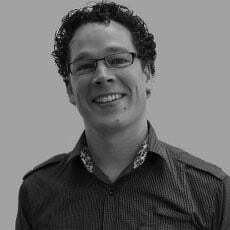 Pieter is vice president at Sequoia Capital based in Singapore. Partnering with amazing entrepreneurs as an investor in early stage technology companies in South East Asia. Prior to joining Sequoia, Pieter led Amazon Web Services’ business with the leading VC's, accelerators, and the broader startup ecosystem across Asia, worked closely with VC's across their investment cycle, and supported founders in their fund-raising and company building activties. Julian Persaud is the Regional Director for Asia Pacific at Airbnb. He is responsible for developing and leading all strategic initiatives and operations and oversees Airbnb's dynamic growth in a market that plays a strategic role for the company. Julian joined Airbnb from Google where he was Managing Director, South East Asia expanding Google's business across Asia-Pacific. Prior to joining Google, he was at Yahoo Search Marketing (formerly Overture) where he was responsible for growing strategic partnerships with some of Australia's leading telcos and media companies. Julian is British and started his career in the UK working for the online auction start-up QXL (online Auctions). He has spent most of his career working in tech and online business and currently lives in Singapore with his wife and two daughters.